Robert George, a beloved member of the Fellowship of Friends for more than thirty-seven years, completed his task, at 11:00 am on Tuesday, March 25 2014, after a brief illness. He celebrated his sixtieth birthday last August. Robert joined the Fellowship in September of 1976 in Detroit, Michigan. Prior to making Apollo his home, in August of 1997, Robert served the School in various centers; including Carmel, New York, Palo Alto, and Sacramento. Many of us knew him from his consistent participation in the Apollo Arts theater productions. 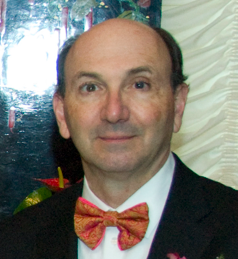 For the past several years, he had served as one of the Apollo Center Directors. Robert was a steadfast and sincere man in his work, his love for Robert, his wife Cristina, his family and friends. Thy eternal summer shall not pass. With all kind love, good thoughts, and reverence; your voice shall be as strong as any man’s. Brave, strong and warm. Thank you for your friendship. Your contentment with what you have and your cheerful nature is an inspiration on how to live. Thank you for your friendship and constant support. Your place in my heart is ever more visible. Whether receiving me at your beatiful home, at a dinner or during a simple conversation, you always reminded me of the joy and simplicity of the present moment. Your valuation for the school and our teacher touched me also with intense sincerity, making my own relation to the work and the school to be uplifted to a higher degree. Thank you so much for the beautiful scenes I keep from you in my memory: dancing and singing. And your deep and encouraging conversations, your essency way of connecting, your commitment to the Work and the School. Was the summer of 2001. I was a six months old student. I went to Tijuana in order to reentry in US, and prolong my visit in Apollo. I meet you for the very first time somewhere in Southern California, for a car ride back to Oregon House. We spoke during the long drive. When I arrived home I realized you were in my heart. The days after I kept wondering: Who is this men? I found the answer in the day of your goodby. You know that is made out of that four simple letters. 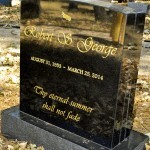 Robert G. was also a dear member of the not-so-secret quasi-esoteric Ushers Brotherhood. Ush onwards and upwards brother! 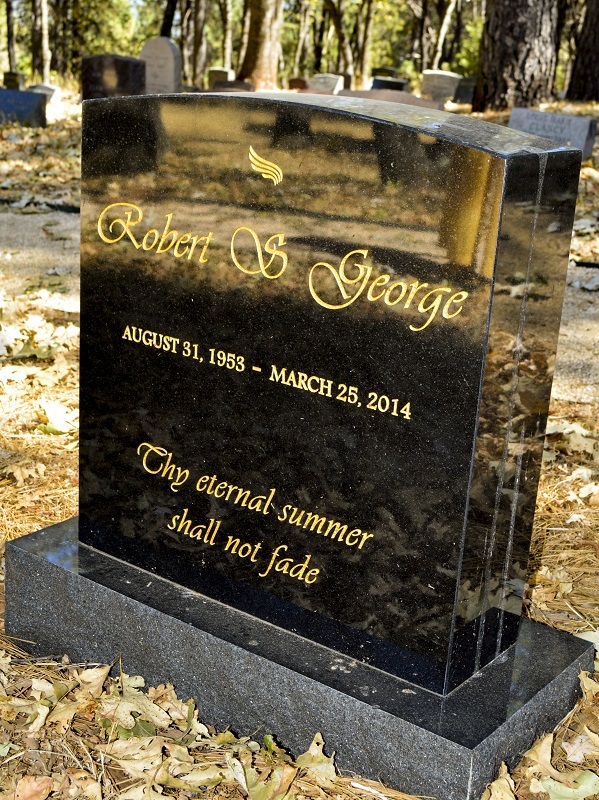 Robert, you paid with effort every day, and you nobly made the final payment in this life. We who remain can only hope to meet our remaining payments with as much grace and acceptance. As our Teacher has said, our role does not end when we are ready, but when they (Influence C) are ready. Robert George was consistently positive, kind, and possessed an unfeigned natural humility – which combined very nicely with considerable practical ability. His commitment to the Work and to the School grew naturally, through stages, to the deepest level. He had a lifelong love of the theatre and he had learned to appreciate life as a play; he always took his own troubles lightly and those of the people around him with real sympathy and concern. How can one say enough about such a man? Perhaps there is no need, we are sure he is appreciated and valued by the Gods who have nursed him out of the play of Robert George to other parts in greater theaters. You did it Robert. You got out. You escaped. Nothing but congratulations. And I know you’re there holding the door open for us to join you. Robert felt like a brother to me – I remember our lunchtime conversations about the work, science, the arts and a host of other subjects with which his inquiring and educated mind could freely share thoughts and opinions. Robert was truly a Renaissance man and he will be sorely missed. Robert’s wonderful embracing warmth is recalled. when we have shared together a moment. to travel with someone like you. Thank you for your Love Dear Robert. Always support, always love, Occasionally Thai lunches in Sacramento. Occasionally sword fight of buffoonery on the stage. Always available. Thank you for letting me share your stage. Querido Robert, tan adorable, bueno y generoso! Qué bueno haberte conocido…! Te extrañaremos mucho y te recordaremos siempre. The first time I met you, you sang “Beautiful Soup” in a Cafe in Buenos Aires. The last time I had the honour to be invited to your 60 birthday party. In between many moments of friendship, that will last forever. Farewell to a kind gentle soul and devoted father your gifts to the school are everlasting and will be with us always . Continue your cosmic journey with the Angels…….. In recent years I’ve had the pleasure of sharing the stage with this most humble and kind person. Robert’s energy always warmed the space around him, loosening tension without sacrificing focus. He will be dearly missed, though I am confident he’s gone wherever good good souls may go. I will be there tomorrow in sprit and prayer. We love you since our eyes met yours at the Apollo dÓro, the first time Jaime and I went to Apollo. It was a blessing to share your generous and loving presence for a long and beautiful moment. We are so greatful and moved. When I saw Robert George play Shams, he suited it so well, a most appropriate role for a most wonderful person. My love to you all in this time of passing. It was 2001, the pre-sequence era, and several conversations with different students seem to end on the same note; we were all recognizing that something more was needed in our Work, but did not know exactly what it was. This is how my friendship with Robert began, just another dinner at Apollo d’Oro to discuss the Work and make efforts at being Present. We did not know that the one dinner would lead to a regular weekly dinner for over two years, and we didn’t manage to figure out the sequence before it came along, but we did discover how precious loving friendships can be, so I think that was enough. I am eternally grateful for Robert’s friendship and honored that he called me a friend. My Love to Robert, Cristina, Rebecca, Sara, and Robert Jr. I remember fondly sitting with you each week at the ‘Philosophers Table’ and the lively and interesting discussions we all had together. Your warmth and positiveness will be missed by all who knew you. You once told me that you saw my light and my potential to do wondrous things in this world. You have done wondrous things and the light of your life has not been dimmed. We carry you with us, always. Robert was deeply committed to his evolution and that of others. In the year 2001 he instigated a small group of students to meet once per week at Apollo d’Oro, to study all approaches to awakening suggested by Gurdjieff and Ouspensky. This group became known as the ‘Philosopher’s Table’ by Apollo dÓro staff. We met without fail each week for two-and-a-half years. But Robert was always late arriving, because of his commitment to helping the Galleria staff restore the salon after the meeting. He thought nothing of it and when he arrived would not mention it but would greet each one of us like long lost brothers. His warm being and ready external consideration of everybody always put us all at ease. I grew to love him. Dear Robert – our loving friendship is permanent. It will never be broken. We did not have a long connection, however, Something sweet, penetrating, dear, has entered my being. Dear Robert. What I remember most about you is your sincerity. I remember long intimate conversations. I always knew that you were showing me all that you were in those moments, and what you were showing me was beautiful. I’ll miss you, and remember you always with love. Thank you dear George for your kind and brave heart. To be some days of my life working next to you was a privilege and honor. I will always remember you standing in your daily life as you perform the role of Rumi, during that play I had the opportunity to see in Apollo. In that play the presence you emanated was so real, that it was difficult to me not to see Rumi present in yourself. You excelled as a theater actor, but your best acting was that of your own play. Robert and I first met in the New York Center in the late seventies. From the start he fit right in. Later in Sacramento our friendship grew over many years. It was a pleasure to watch him become such a good father to Rebecca, Robert and Sarah. At events and parties he always brought that great hummus and olive oil dish. Robert always seemed very even and balanced, right in front of you, working, nothing hidden or distracted–his conversation always came naturally and to the point. The work flowed from him as did his friendship and Love. I will miss him dearly. I knew Robert from my visits to Apollo, and stayed with him and Christina on one occasion. I will remember him for being a graceful and welcoming host, and for his gentle and kind being. I am grateful for the opportunity to have known him. I enjoyed working with you in “My Fair Lady”, this is true for ever. Robert was one of the most sweet, gentle person I’ve ever met; his devotion, dedication and loyalty were inspirational and his love for his family and children an example for us all. His beautiful family and the outpouring love from his friends are a testimony of the great man he was and the wonderful heart he shared. We have lost a great warrier from our ranks. Each of us will have to go beyond oneself in love, service and dedication to fill in this empty space. Now he has gone ahead of us to fight on other shores. I remember with great affection from my early years in the Detroit center, the late 70’s, how Robert, seeing that I was identified with being a Saturn, would smilingly tell me now and then, that I was just a tall Venusian. Bless him! Robert’s was graced with an innate appreciation for what was best in others. Thinking back to my recollections of his involvement in the Arts, I remember the pleasure he personally took in participating alongside others in a spirit of fun in some of its theatre productions – he was the personification of ‘community’. He was a good man – I will miss his goodness. You were always kind, well-meaning, and supportive of my efforts. I thank thee. For which the firmament has become too small. Robert George was the rare one with a heart that could openly express appreciation for the virtues and efforts of others; he never harbored envy. That meant that those around him opened and thrived, rather than withered and died. It feels like a peculiar double loss here – losing him and losing one’s own special place in his heart. He was a witness to other people’s goodness, being good himself. Maybe this is how we lose a piece of ourselves when a loved one dies.